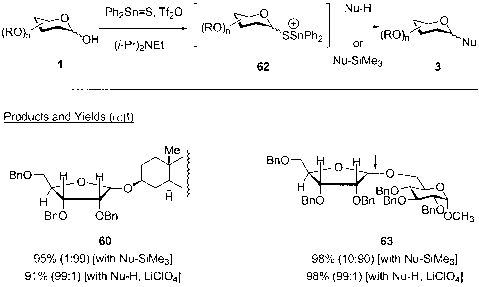 Scheme 13 Dehydrative glycosylations via glycosyl thio-tin intermediates [50,51]. 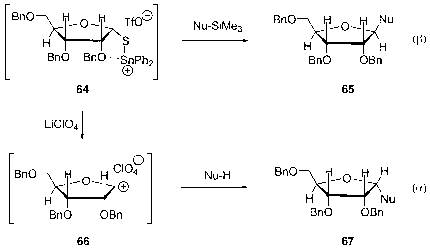 of dehydrative glycosylations using Lewis acid catalysts in the presence of a des-iccant has been reported, employing equimolar or only slight excesses of various nucleophilic acceptors (Scheme 16, Table 1). 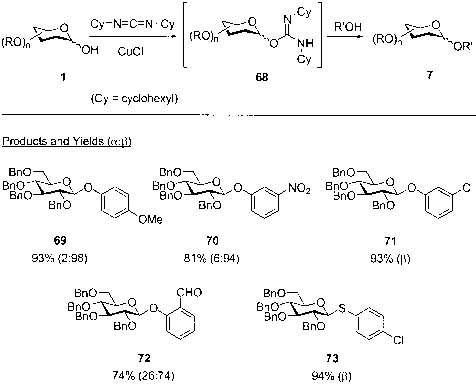 Inanaga and coworkers reported the use of the catalyst combination of Yb(OTf)3 and methoxyacetic acid (0.1 equiv of each) employing only 1.2 equiv of the glycosyl acceptor (Table 1, entries 1-3) . 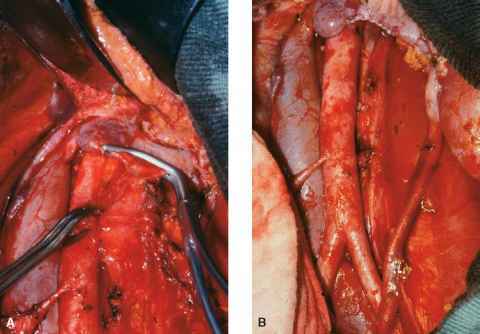 Anomeric mixtures were obtained with pyranose donors, while the ribofuranose donor 77 afforded high ^-selectivities. Scheme 14 Perchlorate ion and anomeric selectivity . Scheme 15 Dehydrative glycosylations via glycosyl isoureas . 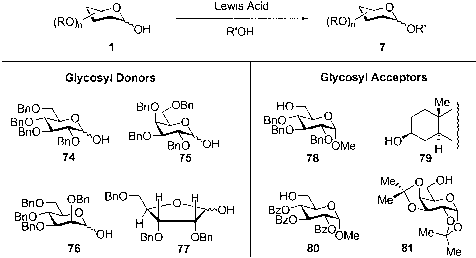 Scheme 16 Dehydrative glycosylations via Lewis acid catalysis: Selected coupling partners [55-60].